This legit advertisement, seen on Buzzfeed, is from Burger King Netherlands. 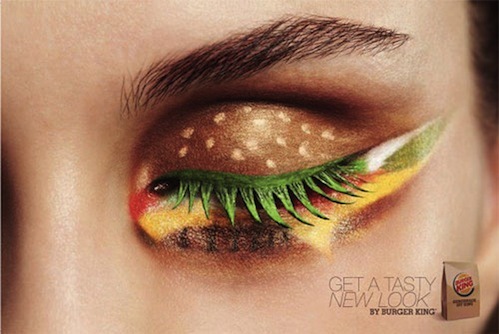 But it’s not the first time the Home of the Whopper played with the beauty industry. In 2008, Burger King rolled out a men’s body spray called Flame by BK. The 5-ml bottles were available at Ricky’s stores in NYC and firemeetsdesire.com. Mmm greasy! « Cinna’s Gold Eyeliner From “The Hunger Games”	» Cosmaddict Is In NewBeauty Magazine!